Cordoba is mainly flat in the farmland regions which border the Guadalquivir river, and mountainous near Sierra Morena, which rises like a wall, and offers abundant hunting grounds for big and small game. The capital of the same name is a World Heritage City and home to one of Spain’s great monuments: the Mezquita, the most beautiful mosque ever built by the Moors in Spain. But other monuments include the Fortress of the Christian Kings, a gothic style military fortress built by the order of Alfonso XI and the Synagogue constructed in 1315 during the Mudejar period. In fact, the Jewish Cordoba was centred on a medieval district beginning at the northwestern end of the Mosque. Remains of the buildings still survive from this period, when they spread as far as the Puerta del Hierro. There were other Jewish areas in Cordoba, with the old Realejo in the San Andrés district being a fine example. The remains that you can see today are found in the narrow, winding and uneven street called Judíos. Come visit Cordoba and feel the magic and enchantment of history on every corner you take. 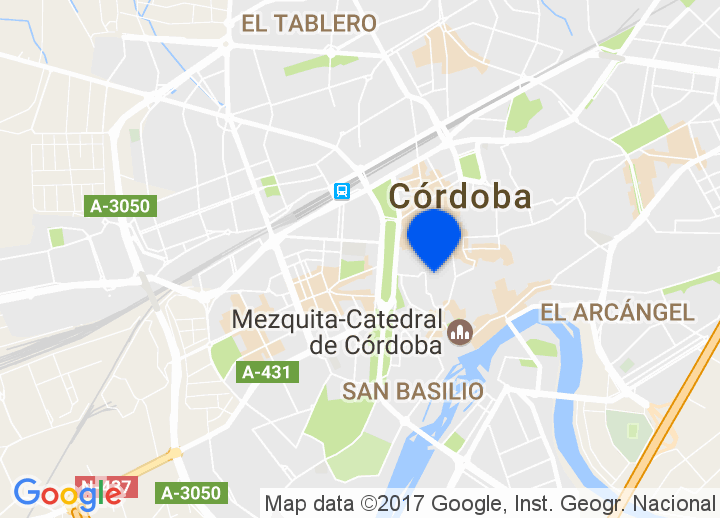 We have selected the most beautiful and romantic hotels in Cordoba, small boutique hotels in Cordoba and charming bed & breakfasts. Whatever your taste, we’ll help you find that perfect getaway in Cordoba. The celebrations of Cordoba have a long standing tradition, beginning with Holy Week, which is officially considered of interest to tourists and during which 32 processions and about 60 platforms with the figures of saints as well as thousands of penitents, called 'nazarenos', fill the city with mysticism and beauty. Many squares are decorated during the celebration of the crosses (made of flowers) at the beginning of May. Cordoba 'Patios' (inner courts) in the first twelve days of May is another celebration officially declared of interest to tourists. In the most traditional areas - such as El Alcázar Viejo, San Lorenzo, San Agustin - the private inner courts of the houses are decorated all over with flower pots and flowers and are open to the public. The Fair of Nuestra Señora de la Salud (end of May), is full of girls dressed in gypsy or typical Cordoba costumes, men on horseback, etc. The stands are flooded with joy, while wine and dancing play a leading role at the Fair.